"I have been translating and placing retail adds in Japanese magazines, but have received some negative comments about the translation. I needed not only a translation, but I needed wording that seemed natural and effective. After testing Aloha Data Services for their ability to provide a professional and authentic feeling translation, I have received very positive feedback. I asked some of my customers about my adds and they did not even realize it was a translation." 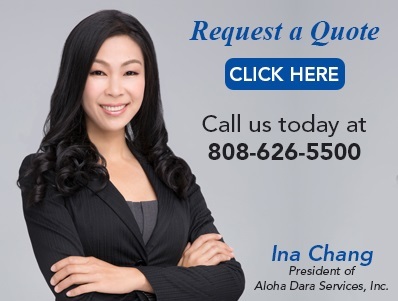 We arrange translation of legal documents, marketing documents, websites, and technical solutions in English, Japanese, Chinese, Korean, Spanish, Marshallese, Chuukese, Vietnamese, Tagalog and Ilocano. Our translation staff will provide you with helpful and personal attention in order to give you a service that responds to your language needs. We can help with special translation projects including translation and typesetting of business cards, research of foreign legal texts, brochures, magazine advertisements and websites. Copyright Â© 2003-2018 by Aloha Data Services, Inc. All rights reserved.